It’s a phrase that you are likely to hear if you spend enough time around Ronald McDonald House Charities of St. Louis. You see, John is what we like to call a “volunteer extraordinaire.” When it comes to supporting the mission, he’ll do whatever it takes to lend a hand. John’s first introduction to RMHC was years ago, through his business partner, Ralph Turney. Ralph volunteered on the RMH Golf Tournament Committee, and their company, Red Arrow, provided free trucking services for our fundraisers. It wasn’t until 2010 that John began volunteering for RMHC on a regular basis, shortly after the West County Ronald McDonald House opened. He was retired, he had just beaten stage 4 cancer, and he resides only two blocks away: it was the perfect fit. and leading tours of the three Houses to assist with community outreach. Over the past eight years, he has helped spread our mission to hundreds of groups throughout St. Louis and beyond. Whether he’s thanking a large corporation for hosting a fundraiser (the oversized checks used for photo-ops are his favorite!) or counting the number of bathrooms in the Ronald McDonald House alongside a group of inquisitive Girl Scouts, John is always a gracious and hospitable representative of our organization. “There’s a lot of paying it forward going on here,” says John of the generosity he has witnessed from the St. Louis community through serving as an Ambassador. 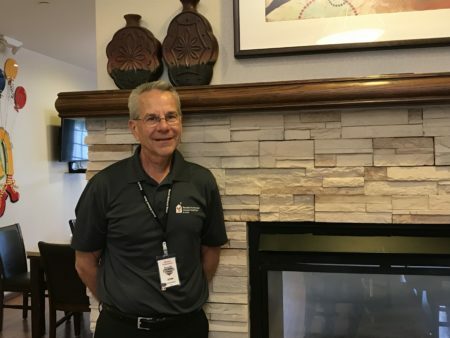 In addition to his Ambassadors Program efforts, John volunteers his time at the West County House location for three hours every other Tuesday. Occasionally John’s volunteer shift includes checking in a new guest family when they arrive at the House. He brings a special sense of empathy and care to this role in particular because he understands what it’s like to sit on the other side of that table. In 1990, John and his wife, Julie, lost their third child, Jessica, to a rare seizure disorder. 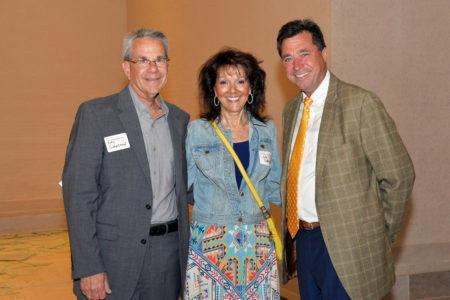 During her hospital stays and treatments, John and Julie spent many days and nights at Barnes Hospital. He still recalls how much it helped to be able to talk to other parents, even in the hallways, who were in similar situations. It is in honor of Jessica, as well as his twin 16-year-old nephews who have cerebral palsy, that John volunteers his time to RMHC. Over the years, John’s family has donated their time and talents to RMHC, as well. For five winters in a row, he and Julie spent New Year’s Day taking down holiday decorations. Earlier this year, John and his son, Bobby, a professional videographer, produced an informational video free-of-charge that every guest family views upon check-in.